Luminol is a chemical exhibiting chemiluminescence in the presence of an oxidation agent, emitting a blue glow. 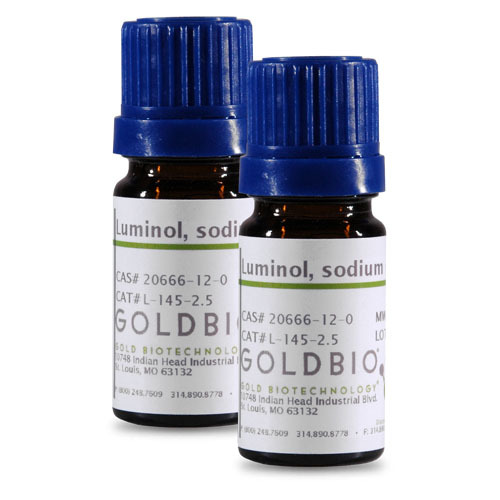 In biological applications luminol allows for the detection of copper, iron and cyanides along with certain proteins via western blot. Horseradish peroxidase also can catalyze this reaction in the presence of hydrogen peroxide, making luminol excellent for highly sensitive ELISA assays. In crime scene investigations luminol is used to detect traces of blood due to the iron in hemoglobin oxidizing the reaction.